There’s a long-running trend in student politics for students to shout out “shame” when their opposing political party is mentioned. I first heard this in 2012 in the heady days of the Gillard Government and Abbott Opposition. It was the Howard Debating Cup, and I had come to watch a friend debate. Liberals packed the audience, and many were eager to shake hands with then Shadow Immigration Minister, Scott Morison. I saddled up at the back, surrounded by future leaders dressed in tailored suits and bright coloured ties. The Liberal Club president announced the topic. The debaters quickly ran to the stage. My friend proceeded third. He spoke at length about Foreign Direct Investment. “Shame!” said another voice in the back row. “Shame,” a few others joined in. These call outs fascinated me, not the least because they were not protesting against the policies of Foreign Direct Investment (which had already been spoken about at length, without any interruption), but instead were objecting to the mere mention of their ‘rival-in-chief’, Gillard. The mere fact that the other party was mentioned had triggered a gut-reaction of negative hostility. Since that night, I’ve witnessed this gut-reaction “shame” callout from people of all political backgrounds. Indeed, it is quite common at factional events, and online factional forums. Obviously this kind of gut-reaction supersedes deliberative thought, it comes very close to the trite, dogmatic: “my side is always right and the other side is always wrong.” Indeed, there is mounting academic evidence to suggest that political party factionalism can affect our brains and that “the more information partisans get, the deeper their disagreements become”. So someone closely aligned to a political party, who is shown an overwhelming amount of evidence in support of a policy, will react even more negatively, if their political rival is the one proposing it. Gut-reaction negativity becomes the norm, replacing the more considered comprehensive evaluation of the merits of the proposal. Instead of a rational cost-benefit analysis: the cost of a proposal coming from the opposing political party is enough to bring the value down to zero. Negative gut-reactions like this generally come from the way we interact with our friends and our ‘grouping’ in society. As one academic put it: “as a way of avoiding dissonance and estrangement from valued groups, individuals subconsciously resist factual information that threatens their defining values.” So when presented with overwhelming counter-factual information regarding our central beliefs, we resist listening because to do so risks alienating our peer group, and fracturing our sense of identity. This is an extreme conclusion, but think about it. Political arguments tend to cause damage in social circles, particularly amongst people not used to being confronted. People often joke about awkward Christmas dinner parties surrounded by family members who disagree violently with them on political issues. But the reality is that on an everyday basis, it is very difficult to form friendships with people who are constantly disagreeing with you. In fact, there is overwhelming psychological evidence that “similarities attract” in friendship, meaning that people like to spend time with others they are similar to, rather than those who are different, or disagreeable. So what we’re left with is a situation where it’s advantageous, and enjoyable to think and speak in the same way as the people we are surrounded by: our friends. If our friends are political, it is expedient to either agree with them, or diminish our disagreements to minor quibbles. At a systemic level – this leads to us forming ‘identities’ along political party lines (and keeping it that way at the risk of our friendships), or opting out altogether and becoming apolitical. “Issues get polarized and people stop looking out for the truth, and one of the ways in which they stop looking out for the truth is by hating people.” – Alain De Botton, One Plus One interview, ABC. And so we place ourselves into political belief systems, and particular groups we happen to agree with and who happen to agree with us. And when contrary evidence is presented, we react with gut-reaction negativity when it comes from the opposing party. The other side can never be right, and we can never be wrong. The circumstances of the above situation are telling. In order to stick true to their personal beliefs, the person in question had to quit the party. 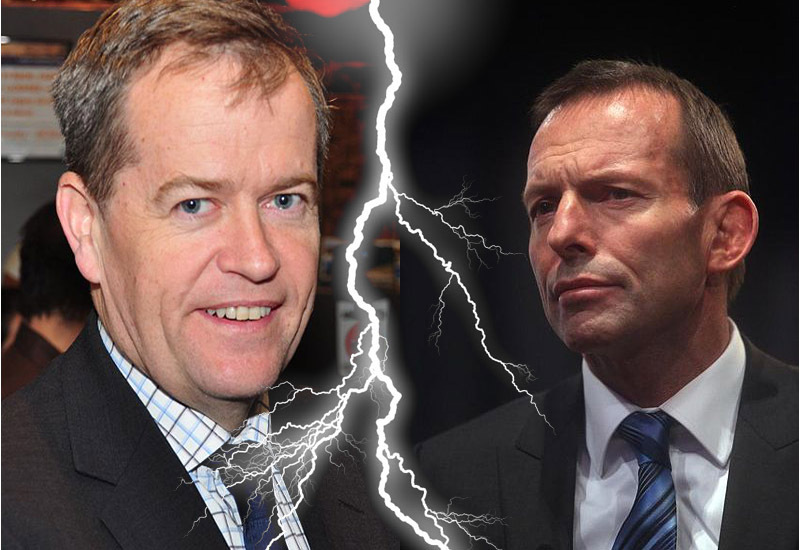 In Australian politics, options for internal disagreement (on a public level) are very limited – to the point where Labor has banned crossing the floor when voting on legislation. which to my mind is a complete absence of democratic process. Both Parties are strict on ‘sticking to the party line’ on all central issues. Generally, when people join a group they tend to subsume part of their personality and adopt part of the group’s overall ‘personality’. (We tend to adopt some our friend’s behaviours, mannerisms or interests – I think it’s one way in which we try to fit in and belong to a group). So many political students, when confronted with this conflict of personal and group beliefs, subsume their personal beliefs to that of the group – and march on in the group’s shadow. To defy, to protest, or to spark disagreement is a sure-fire way of losing political power and losing our ‘social circle’ base and friendships. This is the core of the problem. Those individual, objective thinkers who can rationalise an issue (if they even exist – it is hard pressed, in both philosophy and this growing field of social psychology, to prove that objectivity can ever exist) are barred from entering the discussion because of institutional barriers. Australia’s two party system makes this incredibly worse, by limiting the possibility of dissent and disagreement, and demanding that people place themselves into the tribes of either Labor or Liberal. Now we know that, by placing ourselves in these tribes, our rationality, objectivity and even our capacity to analyse proposals, will suffer. And yet these are the only political power institutions in the country that have the capacity to take office. Indeed, only were we to have an abundance of parties would any possibility of diminished tribalism exists. In the current system, even a four party (Liberal, Labor, Greens, PUP), is not sufficient to diminish the pull of tribalism and the irrationality it entails. Note: I have redacted names. I am not a member of any political party.